A writer by trade, my body of work includes hundreds of slam poetry/hip hop tracks, 2 novels, screenplays and over 150 published articles in print. I also work as a creative consultant for companies in need of innovation by messaging their audience through music, entertainment and technology. He’s repugnant. He’s a vicious Internet troll. And he just happens to be right about mainstream left wingers in North America. Milo Yiannopoulos, the gay conservative online provocateur is widely reviled, and for good reason. A contributing editor for Breitbart News, Milo’s modus operandi is to offend, annoy, and attack the left, as well as the groups seen as marginalized by society. He’s often well beyond vitriolic, ranting about how feminism is a cancer or how Black Lives Matter is a terrorist group. His whole career centers around one main pillar; that the left is determined to destroy free speech for those who do not subscribe to their rigid ideology. And, tragically, he’s not just correct, he’s infallible on that point.This week Milo was scheduled to speak at UC Berkeley, the campus where the free speech movement was born, a reaction to the university faculty’s decision to ban on-campus political activities. Throughout the 60s and for decades, Berkeley was considered to be the main guardian of the 1st amendment. Milo and his controversial shtick were cancelled after students and other ultra-progressives fired rocks, Molotov cocktails, and industrial fireworks at police and security in a successful bid to shut down the event. By doing so, they not only made Milo more infamous, and probably more wealthy and influential, but they also excoriated their own campus’ legacy for being all about liberty and justice. But it isn’t just Milo and American progressives battling to see whose side can be most influential. This battle is now an omni-present engagement between the two fringes of the right and left, as well as those of us in the middle who can’t stomach either side. They sometimes don’t want their families to give them a hard time, or they are afraid they will lose friends over their opinions. Depressingly, these are both very plausible outcomes, the aftermath of a polarized society where you must wave one of two flags, and by doing so you are required to parrot certain viewpoints or you will find yourself without a flag to wave. I know about this first hand. Most of my friends lean left on nearly everything. And that’s fine, but many of them have opinions that are not in line with hard left ideology, and they are far too afraid to talk about those positions in public. Things like gender politics, for example. I would estimate that at least 80% of my female friends over the age of 30 refuse to call themselves feminists. They feel infantilized by modern feminists, embarrassed that they are being told to constantly place themselves in the role of a victim. And just as an aside, it is beyond sad that their views are met with rage and reflexive dismissals from their fellow women. Milo uses the word ‘cancer’ to describe feminism, but I would say the modern movement is more like a caricature of itself, applying several litmus tests as a way to gauge whether or not a person can join the club. It should be reassuring for activists to know that a growing number of women already feel like equals in our society, empowered by a healthy work life balance and a staunch confidence that their futures are centered around their belief that they have as many opportunities to thrive as their fellow male citizens. They believe they can negotiate a higher wage, and do not feel bogged down by the belief that the wage gap can be explained by misogyny alone. But many men and women know from experience that discussing topics like the wage gap is booby trapped with ideological talking points, accompanied by a visceral reaction that cites questionable statistics as if they were as ironclad as the colour of the sky or where babies come from. But the people I know who might disagree about the causes and size of the wage gap are all people who believe in gender equality, and many of them are strong, intelligent women. Nobody wants to hear from these women though. The hardliners will dismiss their experiences as anecdotal, a symptom of a patriarchal shell game that isn’t indicative of most women’s experiences. And why would they acknowledge this progress? After all, it undermines their entire identity as the fighters of ingrained oppression. Like hardline conservatives and their cult-like faith in free market capitalism, there is no room for negotiation. Both progressives and conservatives engage in echo chamber activism born out of polarization that defines the other side as the enemy while branding their own side as unerring. There is never any compromise, never any debate to water down the dogma. Facts that contradict the radical positions of either side are off-limits, viewed through a lens tinted with the notion that the ends always justify the means, especially when those ends are all about justice. I still consider myself a person with strong progressive ideals. I am on the centre/left of every issue I can think of, except one: political correctness. That a notorious troll like Milo concurs with my assessment of who is stifling free speech does not mean I endorse his brand, but I’m not about to stop him from speaking either. It’s paradoxical, and my daughter shouldn’t have to choose between a demagogue and a side too afraid to admit they’ve already won a few battles in the fight against inequality. 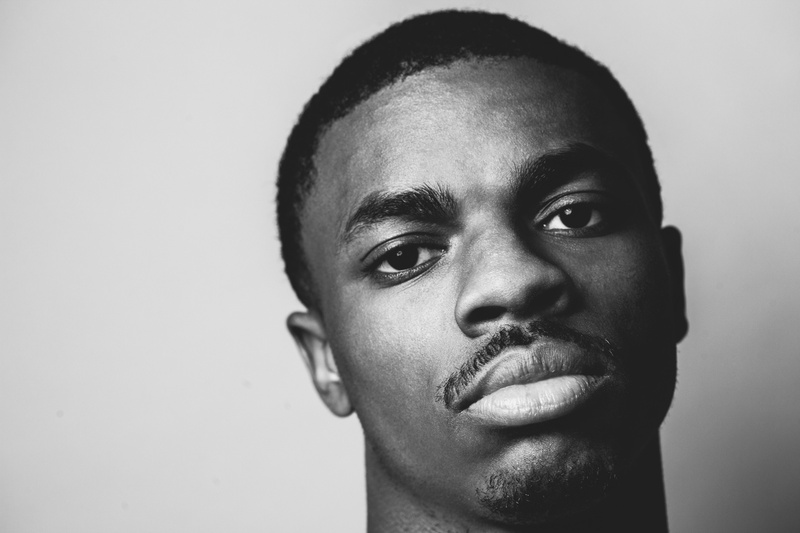 Maybe it’s because I’m getting older, but until yesterday I had no idea Vince Staples even existed. Many reading this still probably have no idea who he is. Now, normally we can excuse a youngster for having a stunningly superficial idea of what the 90s provided as far as hip hop music is concerned, but this is an artist who is supposed to be buddies with Snoop and lists Lauryn Hill as one of his all time favourite emcees. How he reconciles his distaste for hip hop in the 90s with these two factoids is a mystery, and leads many to believe Staples is merely trolling for publicity. But this opinion, apart from being woefully ignorant, seems to be a reaction to modern rappers not feeling they are treated fairly by hip hop heads who are older. There are certainly a ton of older heads who simply won’t give any credit whatsoever to the younger cats trying to make a name, a trend that speaks to the romanticization many have with Golden Era music. This close-mindedness is wrong, but this reaction is just as short-sighted. I had a mini Twitter war with Staples after watching the Time interview where he doubled down on his displeasure of 90s hip hop. So @vincestaples wins the award for most superficial knowledge of the era that made his career possible. Dude needs a history lesson, stat. As far as Staples’ music is concerned, I had a listen to a few tracks before writing this article. It’s not bad. Not great either. But that’s a subjective argument, not a blanket statement on every cat coming out with tracks today. Because anybody who blankets an entire era with a statement meant to downgrade that era is probably just seeking attention. The only other reason would be a dreadful lack of understanding how movements are made and how paths are paved. Staples would be wise to adjust his mindset before he finds himself at an awards show with Busta Rhymes, DJ Premier or any of the other artists from the era that made his even possible in the first place.